“Conventional wisdom,” says Roger Housden, “tells us that nobody goes to heaven for having a good time. 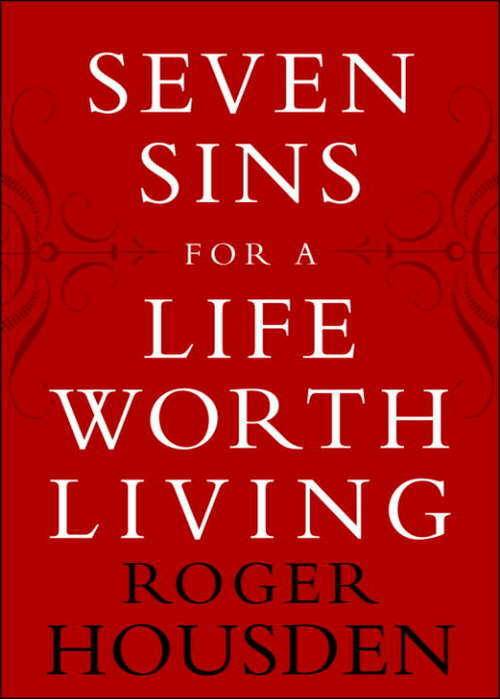 ” Seven Sins for a Life Worth Living, then, is a refreshing, liberating, and decidedly welcome dose of unconventional wisdom that awakens us to the simple delights and transformative joys of the world around us. With elegance, gentle humor, and remarkable openness, Housden takes us along as he recalls his personal journey toward an appreciation of what he calls the Seven Pleasures: The Pleasure of All Five Senses, The Pleasure of Being Foolish,The Pleasure of Not Knowing, The Pleasure of Not Being Perfect, The Pleasure of Doing Nothing Useful, The Pleasure of Being Ordinary, and The Pleasure of Coming Home. Housden writes, for instance, of submitting to the ultimate folly of falling in love, of celebrating our imperfections, of coming to understand the virtues of the Slow Food movement while enjoying an all-afternoon lunch in a small French village, and of discovering in a Saharan cave that, however extraordinary our surroundings, “we are human, a glorious nothing much to speak of”—and learning to be at peace with the notion. Such pleasures may be suspect in today’s achievement-driven, tightly scheduled, relent-lessly self-improving, conspicuously consumptive culture, but surely the greater sin lies in letting them slip away moment by precious moment. “The purpose of this book,” says Housden, “is to inspire you to lighten up and fall in love with the world and all that is in it. ” Reading it is a pleasure indeed. “When you die,God and the angels will hold you accountablefor all the pleasures you were allowed in life that you denied yourself. ” Roger Housden, author of the bestselling Ten Poems series, presents a joyously affirmative, warmly personal, and spiritually illuminating meditation on the virtues of opening ourselves up to pleasures like being foolish, not being perfect, and doing nothing useful, the pleasure of not knowing, and even (would you believe it?) the pleasure of being ordinary. From the Hardcover edition.